Bet Browns-Broncos under 45 with Karamba. Bet Cardinals-Falcons over 44 with 888Sport. Bet Seahawks-Falcons under 43.5 with Betfair. Bet Patriots-Steelers over 52 with 888Sport. The high-scoring NFL of previous weeks has cooled down as the season has moved along. The Bears smothered the Rams on Sunday Night Football. The Green Bay Packers’ offense has struggled. The Ravens and Chiefs played a tight, defense-controlled game this past Sunday. Will those low-scoring trends continue in Week 15? Here’s how NFL betting fans should approach the week. The Browns have smoked bad defenses on the road and have struggled against good ones on the road. Oakland, Tampa Bay and Cincinnati have all struggled profoundly on defense this season. The Browns, in road games against those three teams, averaged 33.3 points per game. New Orleans, Pittsburgh and Houston have very good defenses. In three road games against those teams, the Browns averaged 16.3 points per game. Denver has a very good defense, and what’s more is that the Broncos are coming off a terrible loss to the San Francisco 49ers. 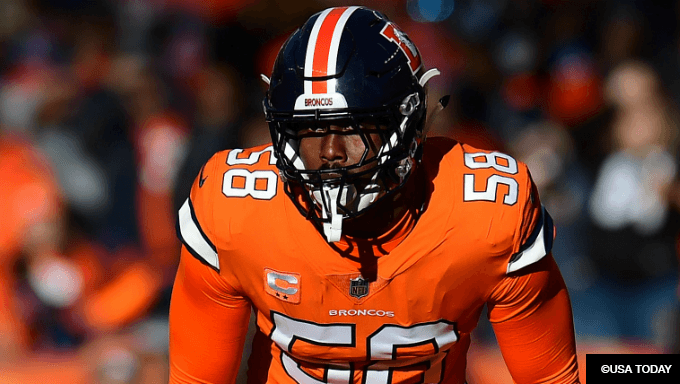 Baker Mayfield should struggle against Von Miller, Bradley Chubb, and the rest of the Broncos’ fierce pass rush on the road in cold weather. The Broncos offense shouldn’t change the way one perceives this game. Case Keenum has struggled for most of the season. The Broncos were shut out in the first half at San Francisco this past weekend and finished with only 14 points. The Broncos have very rarely put up big numbers this season. They usually depend on their defense to win. The high-end score for this game seems like 24-17 or something very similar. The over seems noticeably high in this one. Bet the under with Karamba. This game might seem like an easy under, given that the Cardinals just played a 20-point game against the Detroit Lions, and also since the Falcons’ offense has gone into a tailspin in recent weeks, failing to score in the mid-20s or higher in several consecutive games after a midseason stretch in which the offense came to life. Yet, after four games to start the season in which fewer than 38 points were scored, Arizona has been involved in a 40-points-or-higher game in six of its last nine contests. Part of this is that the Cardinals give up points with offensive turnovers that become defensive touchdowns. Nevertheless, an offense which hands away points is still creating more points. If the Cardinals score 17 points in this game and give the Falcons a touchdown on a pick-6, Atlanta’s offense would merely need to score 21 points to push this game over the number. That would be a 28-17 final. The margins for this game are better for an over than you might first realize. Bet the over with 888Sport. Seattle has a solid defense and like to run the ball, shortening the game and taking away possessions from the opponent. The 49ers limited Denver to just 14 points this past weekend and their defense is playing well. Their offense, on the other hand is below average due to the injuries of Jimmy Garoppolo, Matt Breida and Pierre Garcon. The injury to Ben Roethlisberger was not enough to completely keep him off the field late in Sunday’s loss to the Oakland Raiders. He will play against New England on Sunday. The Steelers don’t match up very well with the Patriots. New England has had the Steelers’ number over the years. However, strictly in terms of scoring points, this game should deliver a lot of them. The Patriots just played a 34-33 game against the Miami Dolphins in which their defense looked average. New England’s defense has played a lot of ordinary games over the past few years and has needed Tom Brady to bail it out. Brady and the Pats’ offense should be ready to go as they typically are after a loss. As for the Steelers, they usually struggle against bad teams and bring their best against the cream of the crop.It is hard to think this game won’t at least be 27-24. This game feels like it will hit the over cleanly. Bet the over with 888Sport.